Most people who die or are injured in house fires die from exposure to hazardous smoke and toxic gases rather than the actual heat or flames from the fire itself. In rooms frequently used for general daytime living, such as the living room. Every circulation space, such as hallways and landings. Additionally a heat alarm should be installed in every kitchen. All alarms should be interlinked / interconnected. Alarms should be Grade D mains powered and battery back-up. Please note that the above can vary depending on your fire risk assessment. Every house is different but as a minimum alarms should be fitted in hallways and landings, so that if there is a fire in these areas you can get out quickly. However there is more chance of a fire starting in a kitchen or living room, so alarms should be fitted here too. The more alarms you have, the safer you’ll be. At minimum you should have one on each floor. Choosing an alarm system based on cost and not quality. Ignoring the dangers of fire and Carbon Monoxide. Not choosing the right alarm / system. Lack of knowledge concerning best practice. A well-chosen and working smoke alarm may double your chances of surviving the fire. It is important to know the various types of smoke alarms and their strengths and weaknesses. Some smoke alarms run on batteries which may need to be replaced once a year. Some smoke alarms are equipped with lithium batteries designed to last for 10 years. Whilst others are designed to be wired in to mains power and have a battery back-up in the event of a power cut. If you have a large house, you may not hear an alarm going off in another room. Consider a smoke alarm system where alarms are interconnected or linked together so that when 1 detects smoke, they all sound. Not all fires are the same. Smoke alarms have different sensors to detect different fire types, so it’s important to choose the right alarms to protect against all fire types. Ionisation – They are most sensitive to small particles produced by rapid, clean burning fires. Best for fast-flaming fires producing significant amounts of heat, such as, papers and clothing. Smoke neutralises a current between two points resulting in the alarm sounding. However may false alarm from cooking fumes. Heat – Best for detecting heat build-up from large flaming fires producing a lot of heat. A thermistor sensor responds to high temperatures and the alarm triggers at 58 °C. The alarm only responds to heat and therefore there are no false alarms from cooking fumes (toasting bread, grilling). Heat alarms are only suitable for kitchens, where smoke alarms may cause nuisance alarms. Optical – A single sensor alarm. An infa-red beam detects smoke in the sensor chamber. Smoke scatters the beam onto a receiver, resulting in the alarm sounding. Sensitive to large particle smoke and best for slow, smouldering fires producing little heat, e.g. Sofas, Tv’s. Multi Sensor – The E2110e Multi-Sensor Fire Alarm responds to all fire types providing a total fire response and making it the most reliable and effective alarm on the market. It contains two sensor types, optical and heat. The two sensors constantly monitor smoke and heat levels, sending and receiving signals via the Multi-Sensor’s intelligent software. The E2110e is less likely to nuisance alarm and the sensor compensates for dust build-up. As part of the property checks prior to change of tenants. To generate real time information if a tenant reports an issue with the alarms. To keep a physical record of the alarms history. As an asset management tool. If you put a smoke alarm in a room and there is a fire, that alarm will go off. However if you are in a different room you may not hear it, and so may not get out in time. Remember, fire spreads fast. You can prevent this by connecting smoke alarms throughout the house. If one alarm goes off, it will set off all the other alarms, giving the earliest possible warning to get out of the property safely. Hard-wiring – This involves running cabling between each alarm in the property. This can cause a lot of hassle, drilling holes, chasing cables and re-decorating which can be expensive and messy. RadioLINK – RadioLink allows alarms to interconnect with each other using radio frequency signals, by simply fitting a RadioLINK base under each alarm in the system. This avoids the need for hard-wiring, saves time, hassle and disruption. RadioLINK+ – Also allows alarms to interconnect with each other using radio frequency signals, but with new functionality, including data extraction and monitoring. Data can be extracted from each alarm on the system. Retrieving data, such as, how many direct button tests have been performed, or when a false alarm has taken place. This allows you to build up a history of alarm systems from properties. RadioLINK+ has an enhanced self-monitoring function that recognises system tampering or alarm head removal. This is done through the House-Code feature that allows alarms to speak to one another within the same system. Innovation is a core value at Aico. Our products have constantly evolved to provide quality, reliability and functionality. 1975 – First Ionisation alarm manufactured. 1992 – First heat and optical alarms manufactured Ei103 and Ei105. 1993 – Mains powered smoke/heat alarm launched Ei150. 1995 – First CO alarm manufactured Ei220. 1999 – Ei140 and Ei160 Series mains powered easi-fit smoke/heat alarms launched. 2003 – Industry first RadioLINK product introduced, the Ei168RC allowing alarms to interconnect wirelessly through radio frequency signals. 2008 – Ei600 Series battery powered smoke / heat alarms launched. Industry first Multi-Sensor Fire Alarm, Ei2110e, manufactured that responds to all fire types. 2014 – First AudioLINK product manufactured, Ei208 CO alarm allowing data to be extracted to a Smartphone or Tablet device. Hear more from me on this subject by attending my panel discussion on ‘fire safety in housing’ at FIREX. This will take place on 22 June at 14.40 in The Expertise and Guidance Theatre and I will be joined by Fire Safety Officer from Catalyst Housing and Senior Fire Risk Manager from BB7. On the panel I will highlight the importance of fire safety within the home. I will explain how Aico have developed a range of high quality, reliable and innovative products and new technologies to help improve the level of protection homeowners and tenants receive. Visitors can learn about choosing the right alarms and accessories for a property, flexibility and technical solutions. As well as advice on industry best practice, British standards and regulations. Register here for my ‘fire safety in housing’ panel discussion. A wholly owned subsidiary of Ei Electronics, Aico are a mSarket leader in residential fire and CO protection in the UK. All alarms are designed and built in Ireland specifically to meet the UK standards and regulations. With more mains powered domestic smoke alarms installed in the UK’s social housing than any other manufacturer, Aico are tried, tested and trusted. For more information please visit www.aico.co.uk. 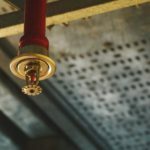 Fire Safety in Housing: Choosing the Right Alarm The author is discussing this subject on 22 June at 14.40 at FIREX International 2016.